‘Tis the season. The season when I am keenly aware that air conditioning is the greatest invention in the last century. This also means I’ll be pulling out a lot of non-bake sweet recipes, because 1) the oven makes the house hot, 2) I have a gazillion other things to do than stand in the kitchen for an hour, 3) fudge is awesome. 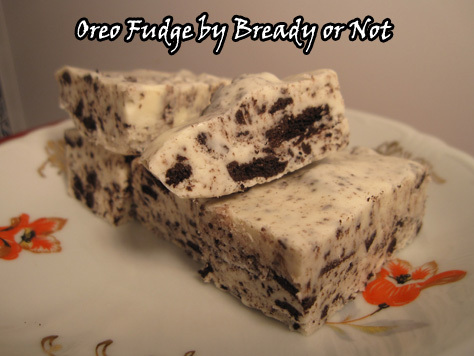 Some purists say this isn’t kind of fudge isn’t fudge because it’s not made on a stovetop, with a candy thermometer, with the proper animal sacrifices. I say they’re rather silly. All fudge is good and worthy. This recipe is so easy to throw together. It’s great for potlucks because it makes a ton of fudge. It also keeps well in the fridge. 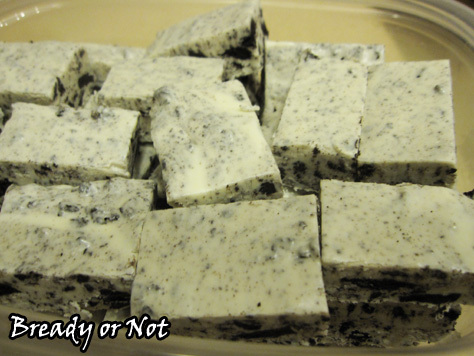 This is a good time to point out a similar recipe I posted a few years ago–Oreo Bars, featuring three ingredients. Oreos. Marshmallows. Butter. 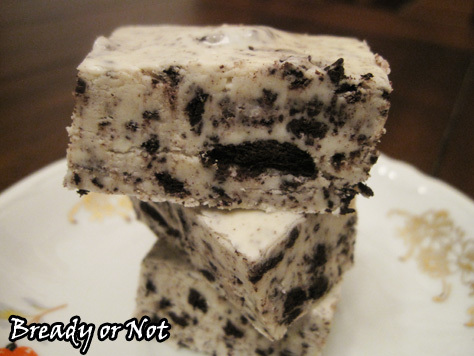 It’s like Rice Krispie Treats, but uses Oreos. Also non-bake, and makes a smaller amount. 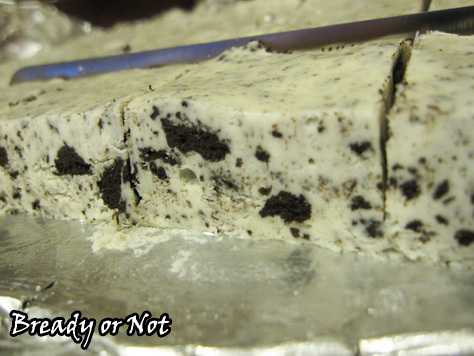 Just in case, you know, you’re wanting to make something without chocolate and, uh, healthier. I don’t usually make fudge in the summer here because of the humidity — the sugar crystallizes, and the texture’s closer to penuche than creamy fudge. Is that not a problem with this recipe (she asks hopefully)? 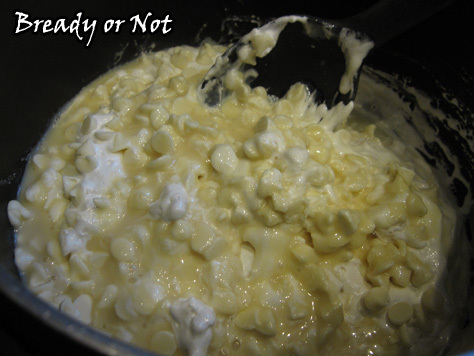 Humidity is not a problem here in Arizona, but I do have to say that microwave-type fudges are much easier and more forgiving than the kinds that require prolonged boiling and a candy thermometer. Since this doesn’t include sugar, it’s really about getting the chocolate smoothly melted. I think it should work fine for you! I made it on Thursday to take to a barbecue yesterday. It was a little sticky, but definitely not grainy! It was a big hit. Thanks for sharing the recipe! Yay! I’m so glad that it was enjoyed! Thanks for sharing the recipe Beth. Oreo are a particular favorite of mine. I love the last cooking instruction: ‘OM NOM NOM’!